Stella and Dot – FOR SALE!!!! Each of these pieces is RETIRED. Which means they are no longer available for purchase through Stella and Dot or any retail outlet! 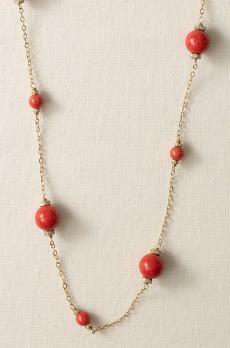 This was one of my first pieces and I love the coral color with the gold! Simple yet makes a statement. You can see more of me wearing this necklace on this blog entry! I wore these a TON last fall and winter and really have loved owning them! You can see more pictures of me in these earrings here. 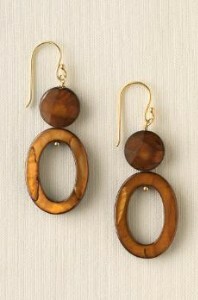 These are a GREAT everyday wear type of earring! I got a LOT of wear out of this and especially loved the versatility of being able to move the charm and add the charms I’m selling below! I loved it so much I bought one for Chrissy, my sister-in-law! These go GREAT on the Bloom Charm Bracelet above, match beautifully with the Boca Chic Necklace, and can be used on the Charlotte Charm Necklace below! 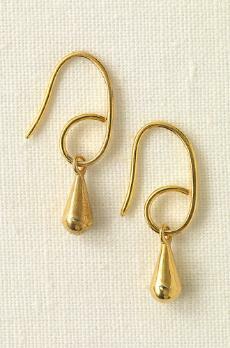 I wear a lot of browns so these were some I really enjoyed and love how they complement so many other pieces in my jewelry collection! These pieces are also RETIRED. 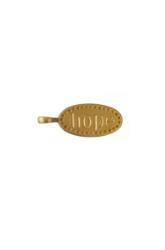 However, Stella and Dot does still have a few, limited quantities in stock. If you LOVE them and mine sell quickly, hurry to order through the site as they are going FAST and are considered “very low in stock” which means they will be gone forever very soon! 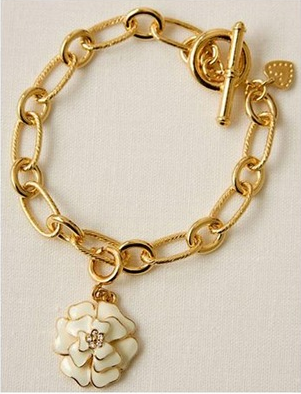 I love the length of this as a necklace and enjoy wearing my charms on it! 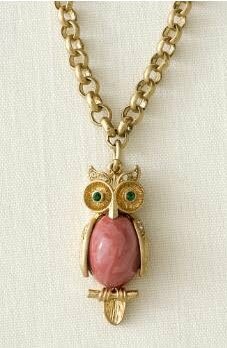 If you’d like to order this piece from Stella and Dot you can do so here. This was another one that I’m sad to part with as I wore it ALL the time! You can see more pictures of me wearing it here. As I mentioned earlier, I enjoyed swapping out the charms with the Palm Beach ones and using these charms on the Bloom Charm Bracelet as well. You can purchase this necklace directly from Stella and Dot here! This is one that I’m sure will be selling quick! I love it and I know so many of you do too! More Details: No tax on any items purchased. Flat shipping of $4 for first item purchased, $6 flat fee for 2 or more items, US residents only. If you live local and can pick up the items then obviously there isn’t a shipping charge. I’ll also package each item in it’s own adorable Stella and Dot box (you can see samples of the boxes here). Each piece has been gently worn by me but mostly used for display at my Trunk Shows. They are all top quality. No returns accepted. How to Purchase: Contact me by leaving a comment on this post letting me know which item you’d like and an email address to write you, or email me directly at deliasgoddess33@aol.com. Payments will be made through Paypal (unless I know you personally then I’m fine with working out another arrangement like check or cash). I will respond in the order I receive emails/comments, however the first person to PAY gets the item – that may not necessarily be the first person to show interest in an item. Hi! I sent you a separate email but wanted to leave a comment here as well. 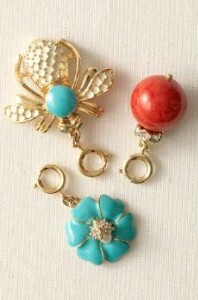 I am in desperate search for the Palm Beach Charm Collection….specifically the hornet. I borrowed the necklace and charms from a friend and the hornet inadvertently fell off. I feel terrible as she loves these charms and I'd like replace for her. Please let me know if you still have these! I know this post was awhile back but my fingers are crossed!!! I will buy the whole set or whatever I can get! Thanks so much!! I am looking for one of the retired initial charms….silver….letter B….with the hammered "dots" or indentations…whatever they are 🙂 all the way around the edges. My e-mail is ikceb@mchsi.com IF anyone knows where I can get one of these!! Thank you sooo much! !